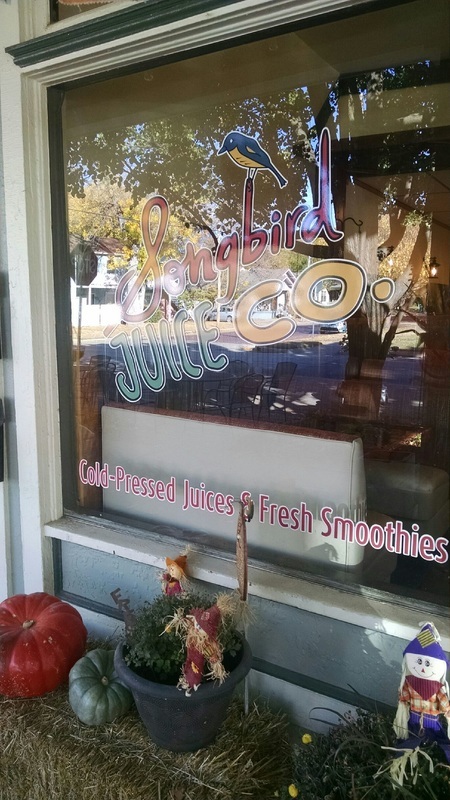 Songbird Juice Co., New Juice & Smoothie Bar in Wichita, KS! I'm excited to tell you about this great new local place for fresh juice and smoothies in Wichita! when they opened in the Riverside area this year. How cute is their logo and fall decor! 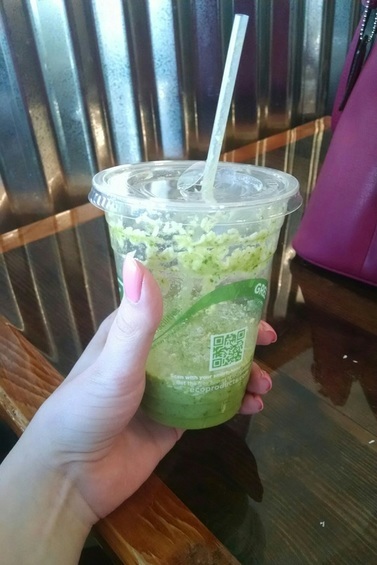 I've tried both juices and smoothies at Songbird and all were delicious! They use a technique called "cold-pressing" to create their juices - a process that preserves the highest level of nutrients possible from the original fruits and vegetables, gives you the smoothest texture, and helps it to stay fresh longer. I could really tell the difference in the quality of taste and texture from other smoothies and fresh juices I have tried! The "Aloha"! Well, after I drank most of it. Contains bananas, spinach, coconut milk, pineapple, and coconut flakes! supporting local farmers and fair wages for employees. I love having wonderful places like this in the community where I can feel great about spending my hard-earned money and recommending it to others. , but they'd love you to come on in and say hello!